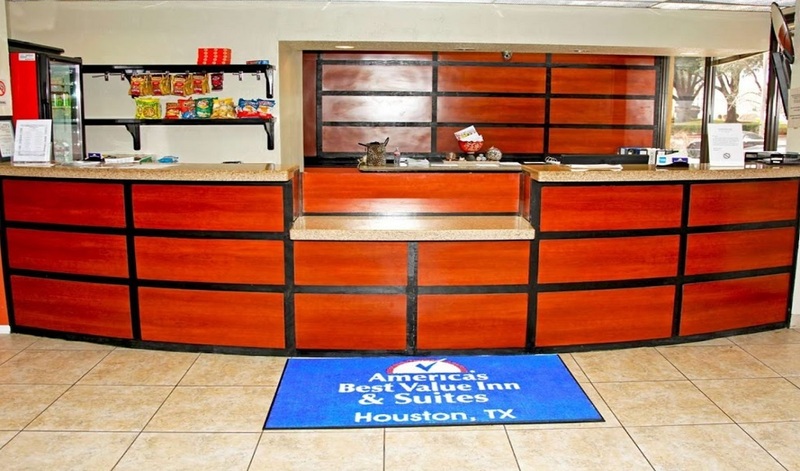 Whatever brings you to Houston, you are welcome at our Houston Airport Hotel. 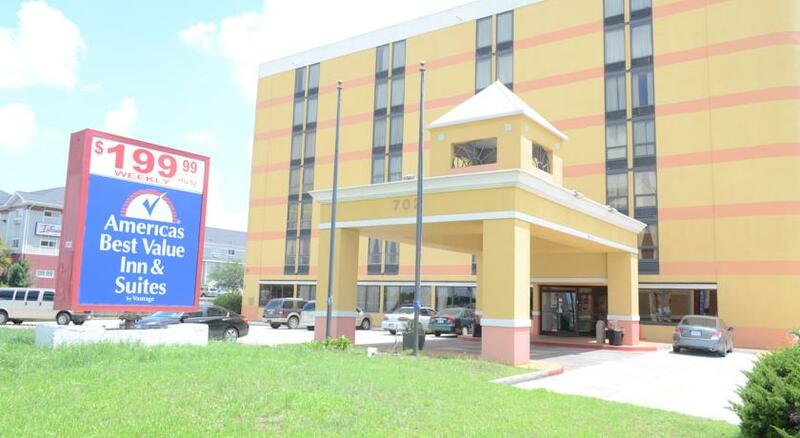 We offer the perfect location, conveniently located off of Texas 8 Beltway Frontage Road. 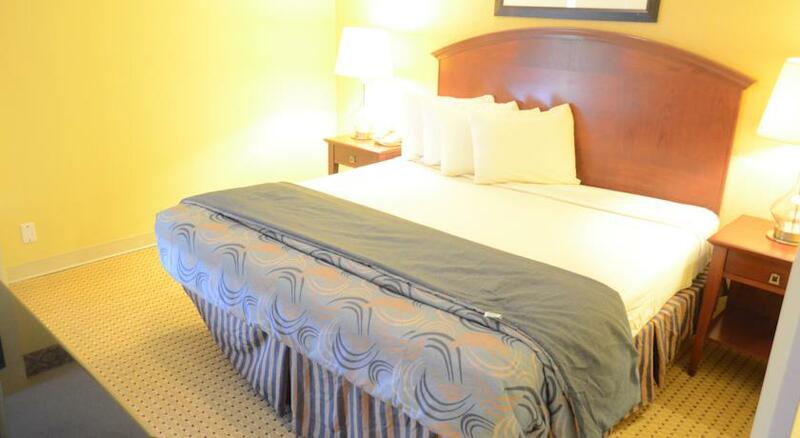 Our service is professional, amenities are top-notch, and you will experience the best prices in the area. It's always time for some R&R. Stay awhile, slip into your bathrobe and enjoy a wonderful getaway. 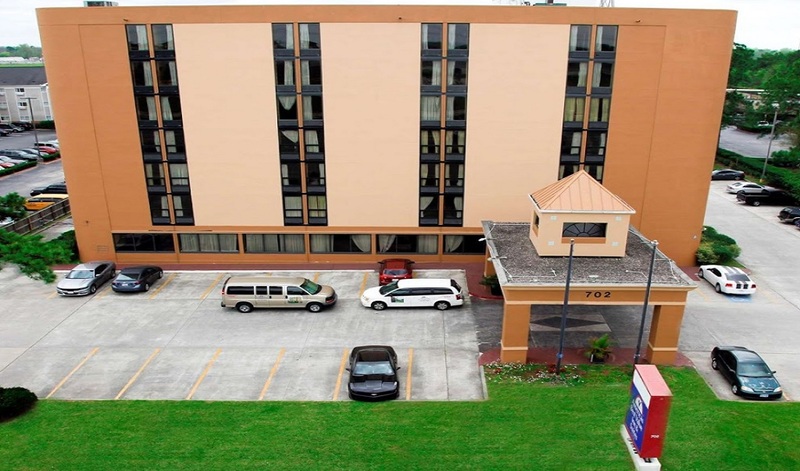 Our hotel is minutes from the area's most popular attractions including Paramount Park, Greenspoint Mall, Great Time Skate, and Richey Road Movie Tavern. 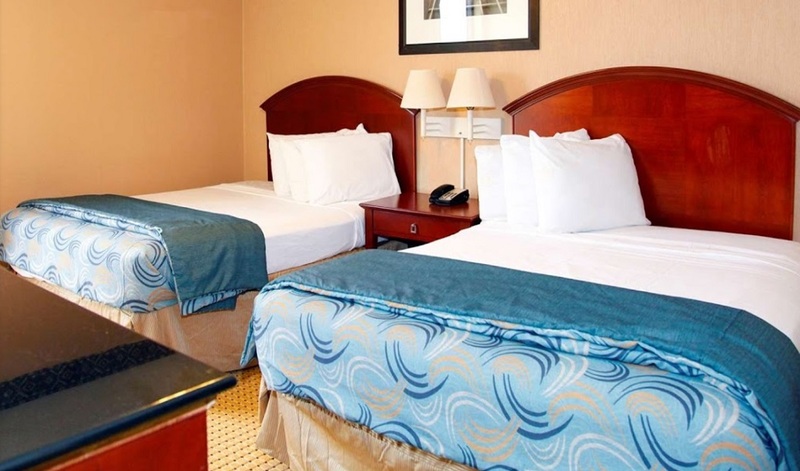 Americas Best Value Inn and Suites Bush Intercontinental Airport West offer a bright and convenient space for you to relax while providing the comforts of home. No need to leave your furry friend behind when you travel to Houston - our hotel embraces pups! When you book your stay with us, there will be a free continental breakfast available for you to start your morning off right. Our valued guests also have access to our 24-hour coffee in our lobby, seasonal outdoor pool, meeting facility, business facility, and exercise facility. Furthermore, traveling back home with a suitcase of dirty clothes is a thing in the past with our convenient guest laundry facility. 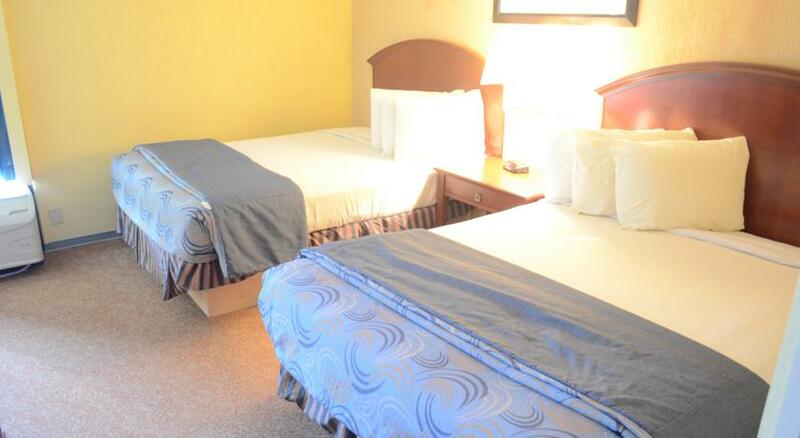 At Americas Best Value Inn & Suites-Bush Int'l Airport West, we look forward to your stay! 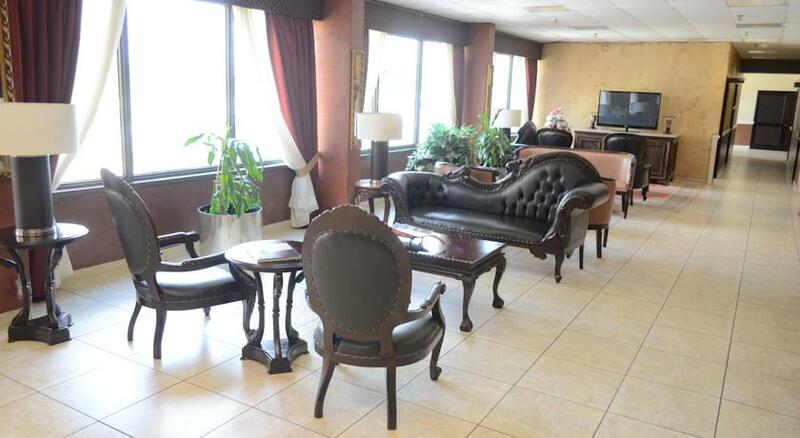 Our hotel is one of the well known comfortable, clean and budget-friendly accommodations in the area. 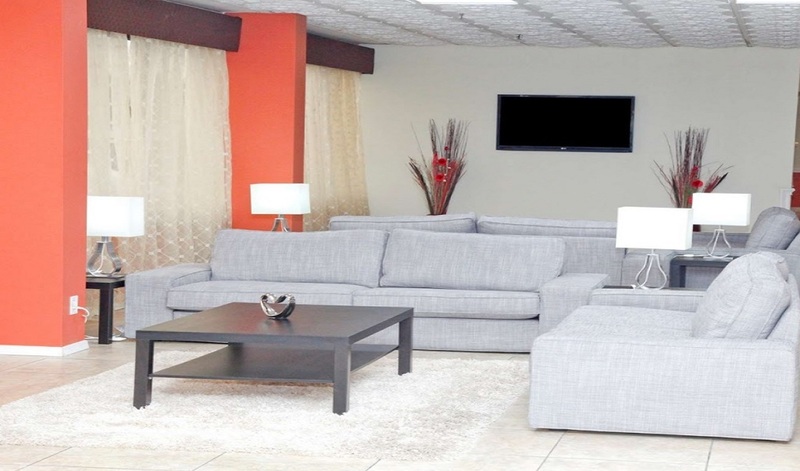 From free high-speed wireless Internet access to shuttle service to and from the George Bush Intercontinental Airport, you will have everything you need. 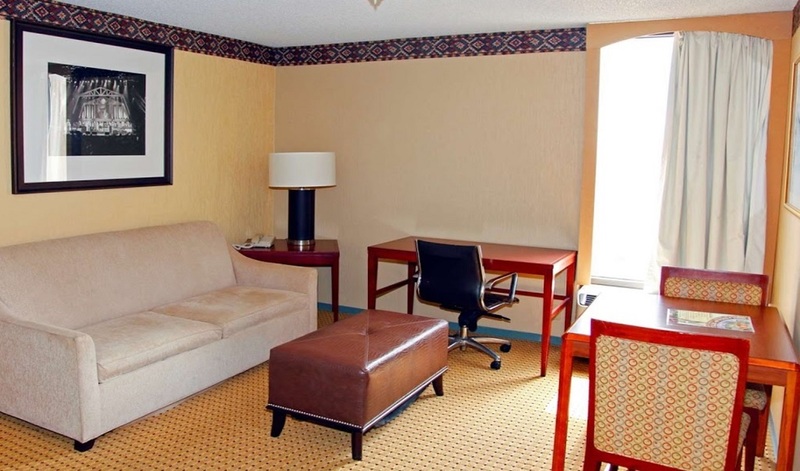 In-room amenities include a microwave, mini-fridge, coffeemaker, satellite TV, hairdryer, iron with ironing board and free local calls. Who's hungry? Come to consume good food that will surely satisfy your taste buds. We all know Houston has so much to offer when it comes to great restaurants. Experience a unique dining adventure at our cities scrumptious locations. Green Briar Buffeteria, Sergios Mexican Restaurant, Tyme Out Deli, Church's Chicken, Ichibon Japanese Restaurant, and Waffle House are in close proximity to the hotel for your convenience. Houston is arguably the style capital of the South. If you're shopping for the first time in Texas, don't rely on beginner's luck. You'll need to know the ins and outs of the cities most-desired malls. Whether you are looking for something vintage or high-end fashion, Houston has the stores for you. Malls, outlets, and boutiques are at your fingertips when you explore River Oaks Shopping Center, Uptown Park, Houston Premier Outlets, and Highland Village. Looking for the perfect place to adventure and enjoy the cities recreational activities? We want to help you and your family have an outdoor adventure of a lifetime. Buffalo Bayou connects multiple downtown neighborhoods and parks throughout downtown with scenic hiking and biking trails. Nature awaits you at the Arboretum & Nature Center and iconic outdoor spaces are available to admire at Discovery Green. Galveston is a getaway destination that offers a wealth of outdoor activities, like fishing, golfing and kayaking. Find the perfect fit for you - the options are endless. Houston - a place to see and be seen. We are giving you an inside look at the cities most prime places to play. Houston has a mix of laid-back lounges, honky-tonk bars, and entertaining nightclubs. The magic of the city unfolds inside the bars, live music venues, theatres, and shows. Houston continues to enthuse tourists with the best nightlife at Gravity, Z on 23, VAO Club Life, Story Ultralounge, Sin Lounge, Upstairs Bar & Lounge, The Boulevardier, and Axelrad. The Holocaust Museum Houston is located in the Houston Museum District in Houston, Texas and was opened in 1996.The museum is the fourth largest Holocaust memorial museum in the United States. 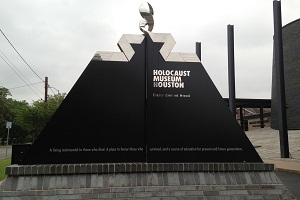 The museum's mission is to make people aware of the dangers which prejudice, hatred and violence brought about during the Holocaust.The museum promotes understanding, remembrance and education with the goal that both students and the general population stay and become aware of the lesson of these tragic events. This lesson is that humankind must strive to live together in peace and harmony. 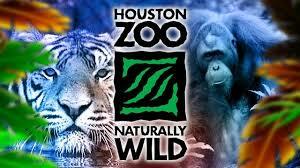 The Houston Zoo is made up of many moving parts. We have over 6,000 permanent residents (our animals) for whom we provide housing, meals, medical care and, yes, even education! There are over 2 million guests each year who come to experience our incredible variety of animals and ecosystems, as well as attend special private and public events and entertainment. Our dedicated staff works around the clock to ensure that the Zoo is always running smoothly for the safety and well being of our residents and guests. 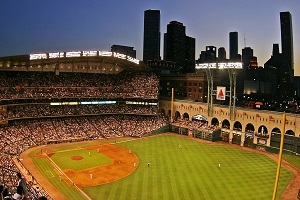 Minute Maid Park, previously known as The Ballpark at Union Station, Enron Field, and Astros Field, is a ballpark in Downtown Houston, Texas, United States, that opened in 2000 to house the Houston Astros of Major League Baseball (MLB). The ballpark is Houston's first retractable-roofed stadium, and features a natural grass playing field. The ballpark was built as a replacement of the Astrodome, the first domed sports stadium ever built, which opened in 1965. It is named for beverage brand Minute Maid, a subsidiary of The Coca-Cola Company, which acquired naming rights in 2002 for $100 million over 30 years. As of 2016, Minute Maid Park has a seating capacity of 41,676, which includes 5,197 club seats and 63 luxury suites. The Manned Space Flight Education Foundation Inc. is a 501(c)(3) nonprofit educational foundation with an extensive science education program and a space museum. The cornerstone of its science education mission is Space Center Houston, dubbed the Big Draw by USA Today in 2014. It is one of Houstons top attractions, the areas No. 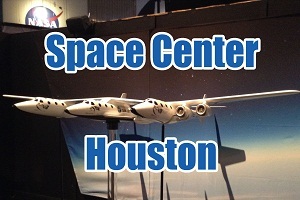 1 attraction for international visitors, the Official Visitor Center of NASA Johnson Space Center and the only Smithsonian Affiliate in the greater Houston area. All children are welcome. Free! All children under 12 years stay free of charge when using existing beds. 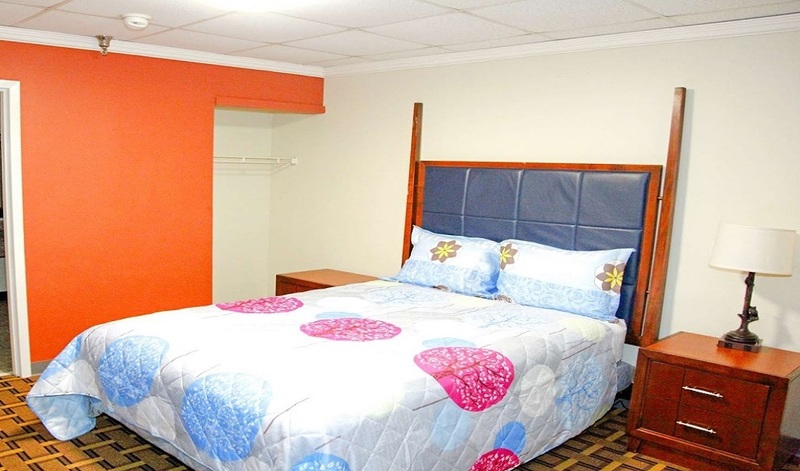 Any additional older children or adults are charged USD 10 per person per night when using existing beds. Free! One child under 2 years stays free of charge in a crib. There is no capacity for extra beds in the room. Additional fees are not calculated automatically in the total cost and will have to be paid for separately during your stay. It was nice and surprising clean I would recommend it to anyone. Its very cheap and reasonable. I will be coming back!!! Excellent hotel, spotlessly clean room. We got a suite for the price of a single room. 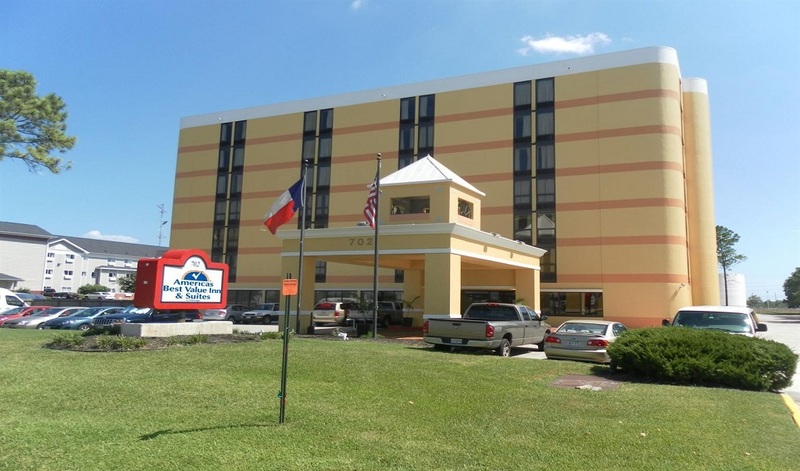 On the Beltway and very close to Houston Airport but the room was very quiet and a real oasis. I recommend this hotel very highly. 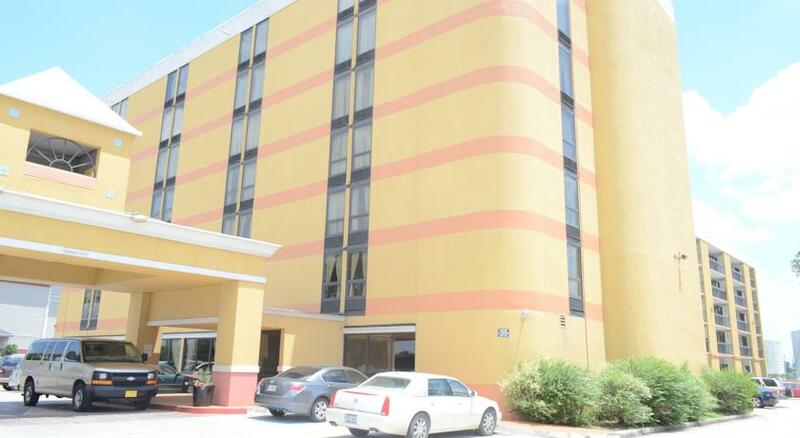 Very clean hotel with helpful staff in a safe environment at a great price. The airport shuttle was available to ferry me back to IAH at 3 am. Kudos! Amazing service to all. Will be back in future. Good Quality Hotel for Fun or Work!! 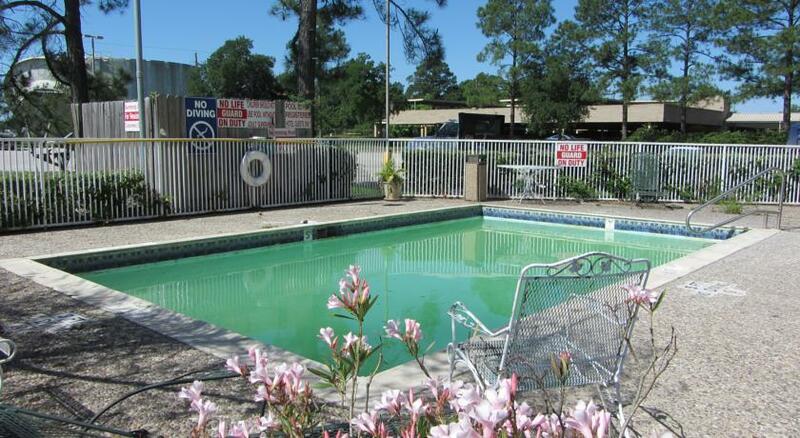 Great location to Greenspoint area and accessible to Bush Airport. Not far from I-45 North. 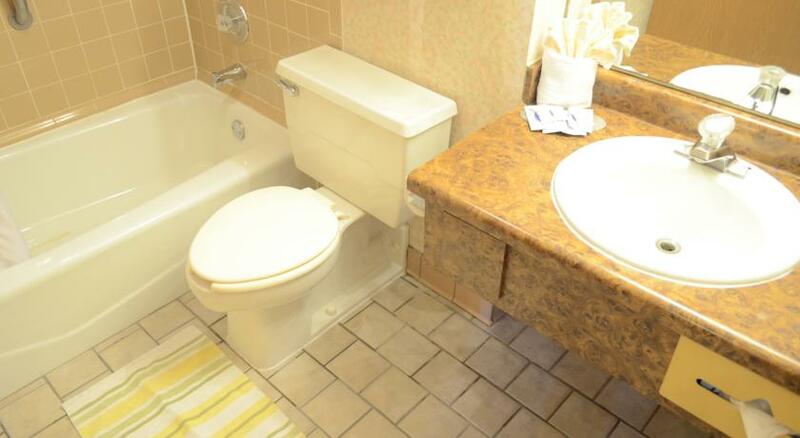 Stayed there several time during business and vacation trips. It was very nice, clean, quiet, friendly & helpful staff. I was able to leave my vehicle there, shuttled to the airport and picked up timely. I would stay there again or recommend. It was a nice place to stay. It was clean and quite. I would go back to stay again. The staff was very helpful whenever I had a question or problem. Awesome Place. Such a nice pleasant stay. Our stay was nice with lots of fun activities. Cool and quiet hotel. My stay was good overall. They gave me a nice room with comfortable bed. Staffs were very nice and helpful. They gave us nice service during stay. This was our 3-time stay at this hotel and in future, we will stay here again. Highly recommended! !